A jury sided with the families of two brothers who died of cancer resulting from exposure to benzene-containing rubber solvent. 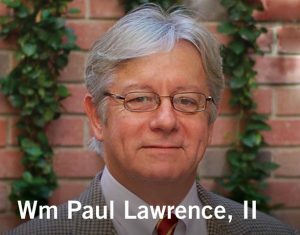 Leading asbestos law firm’s donation supports a three-day exchange of ideas in the field of mesothelioma and fellowship for those affected by the disease. Medicaid whistleblowers’ tips led the State of Texas to investigate, revealing that taxpayers were paying for thousands of unnecessary dental procedures. EPA Sides with Industry in Refusing to Require Chemical Data Reporting to Protect the Public from Deadly Asbestos. ADAO et al. vs Andrew Wheeler and the EPA. 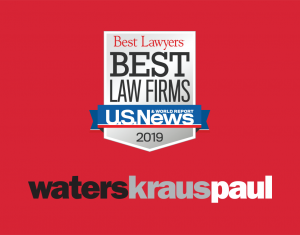 Walgreens ignored Wisconsin’s medically appropriate treatment restrictions and billed Medicaid for medically unnecessary drugs, False Claims Act case reveals. 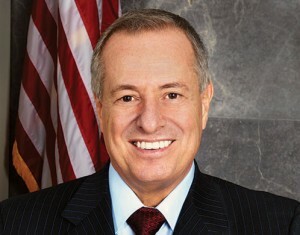 Waters & Kraus founding partner selected to appear on esteemed list. 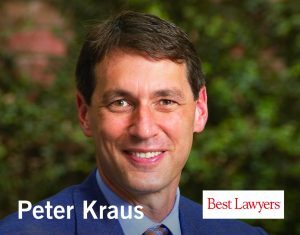 Peter Kraus, a founding partner at Waters & Kraus, LLP, has been selected by his peers for inclusion in the 2019 Edition of the Best Lawyers in America© magazine for his work in Dallas on behalf of plaintiffs in personal injury litigation and product liability litigation. 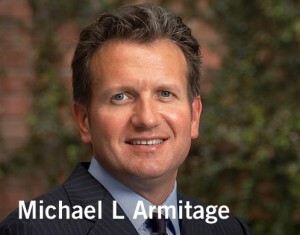 The magazine recognizes the firm’s professional excellence in plaintiffs work.